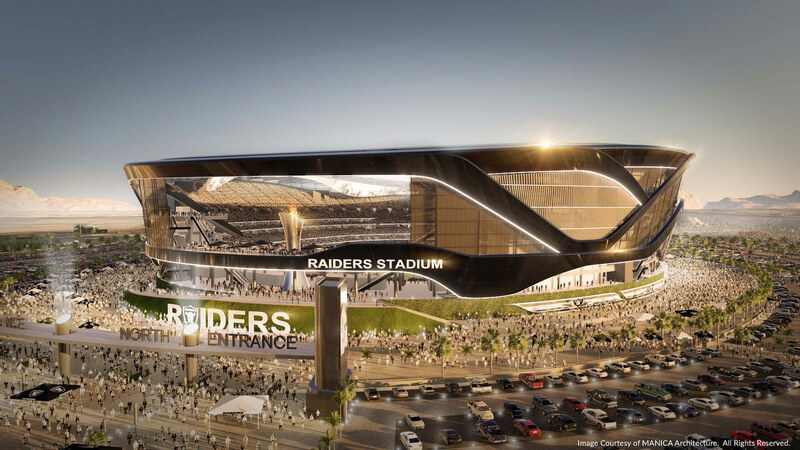 Kansas City—based Sports stadium juggernaut Manica Architecture’s unused 65,000-seat stadium proposal for the Oakland Raiders is on a summer road trip. 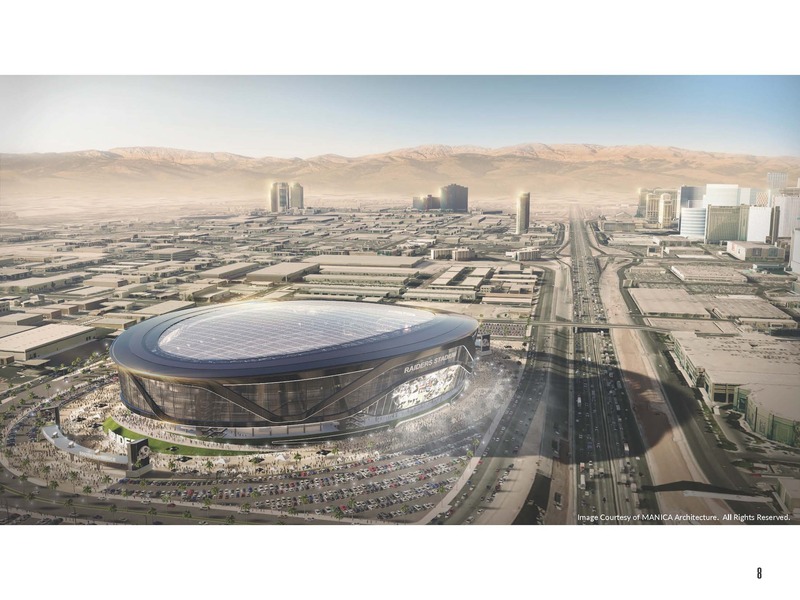 When the team’s bid to relocate to Southern California fell through earlier this year, plans for the potential Los Angeles Raiders’ Carson, California stadium were thought to have evaporated with it. 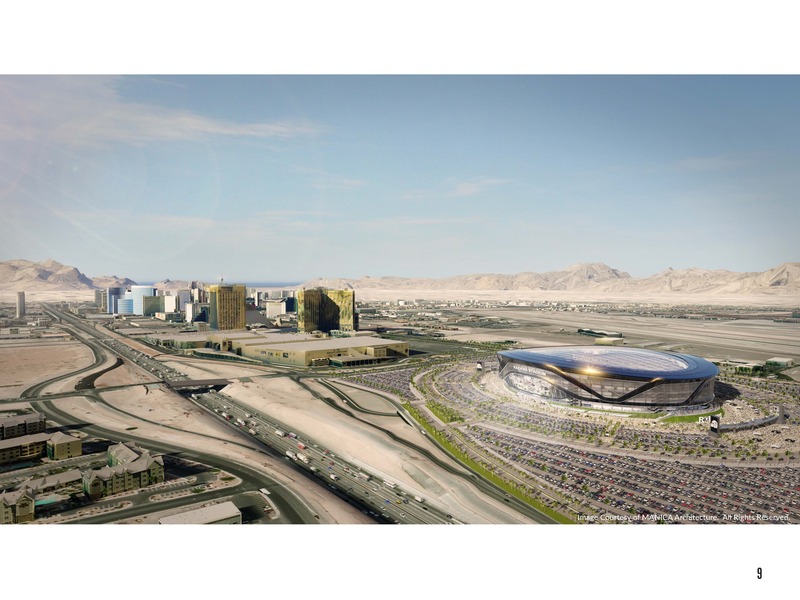 But the itinerant team and their now-$1.9 billion stadium proposal were spotted in the Nevada desert late last week, as the Southern Nevada Tourism Infrastructure Committee reviewed plans for a potential new addition to the Las Vegas Strip. The design for the new stadium bears much resemblance to the old one, with a regulation-size playing field overlooked by raked seating and leisure areas. According to new renderings included in the proposal, a big difference lies in the stadium roof. 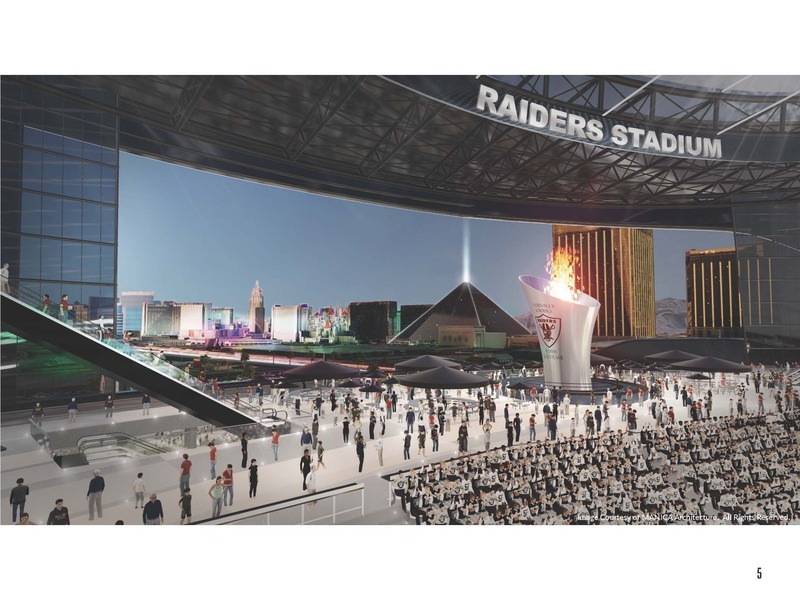 While the Los Angeles scenario was presented as an open-air proposal, the Las Vegas version is topped by a massive dome shielding spectators from the blazing Nevada sun. To allow for flexibility, the curving facade elements that support the dome, recycled from the prior scheme, host equally-massive but operable expanses of glass that would open and close as necessary. 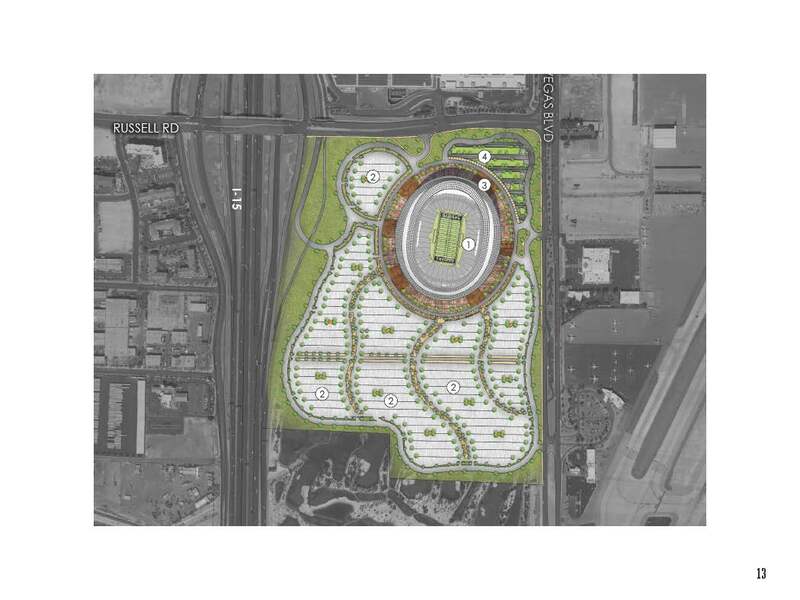 Unlike Los Angeles, a densely populated and urbanized area (where the now-under-construction Los Angeles Rams stadium will sit on what is widely considered to be the last sizable undeveloped swatch of land in the region), Las Vegas, with its patchwork of casino parking lots, desert scrub, and subdivisions offers many more site opportunities. 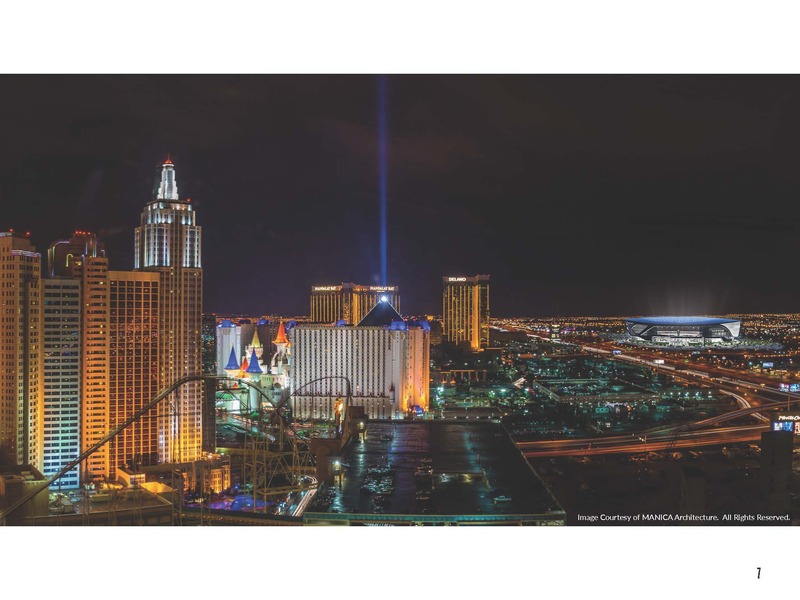 The two sites being considered: The first is west of Interstate 15 and across from the golden Mandalay Bay casino towers. 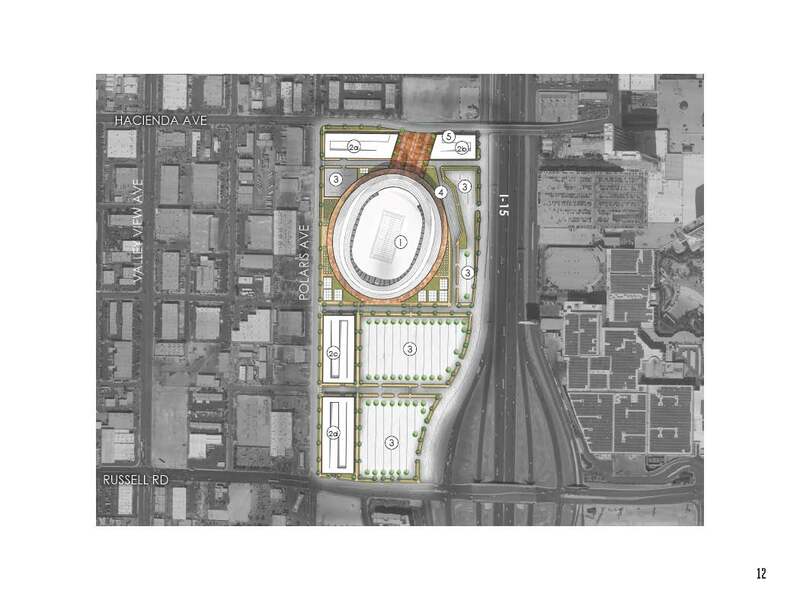 On this relatively tight lot, the stadium would occupy a compactly-landscaped portion of a site that would otherwise be dedicated to surface parking lots as well as parking structures. The second potential site, located south of the Mandalay Bay casino, would replace a portion of the Bali Hai Golf Club with a more heavily-landscaped arrangement and—according to preliminary site plans—contain surface parking exclusively. 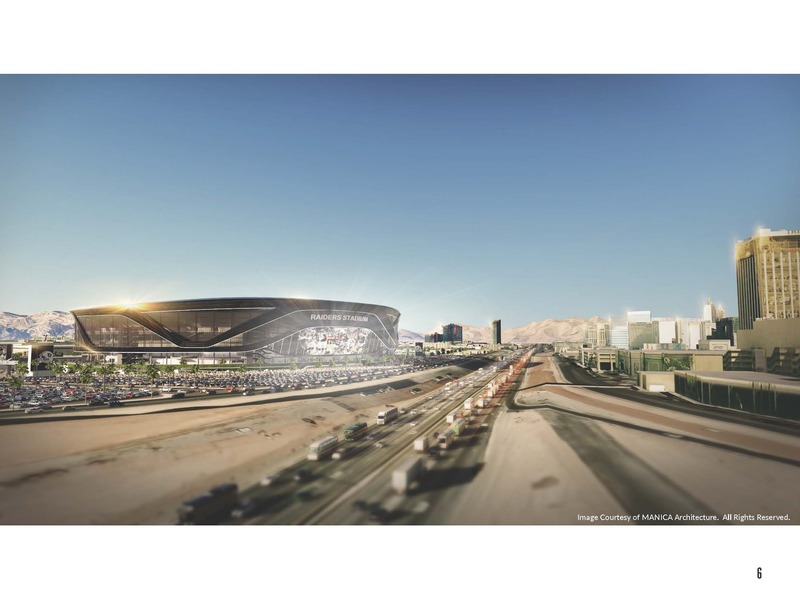 The scheme is still subject to approval, leaving team owners to pitch the potential economic benefits of the stadium as justification for their insistence on the city providing $750 million in public funding for the project. Could the team’s owners be pressing their luck? Don’t be surprised if you see this stadium again, somewhere else. 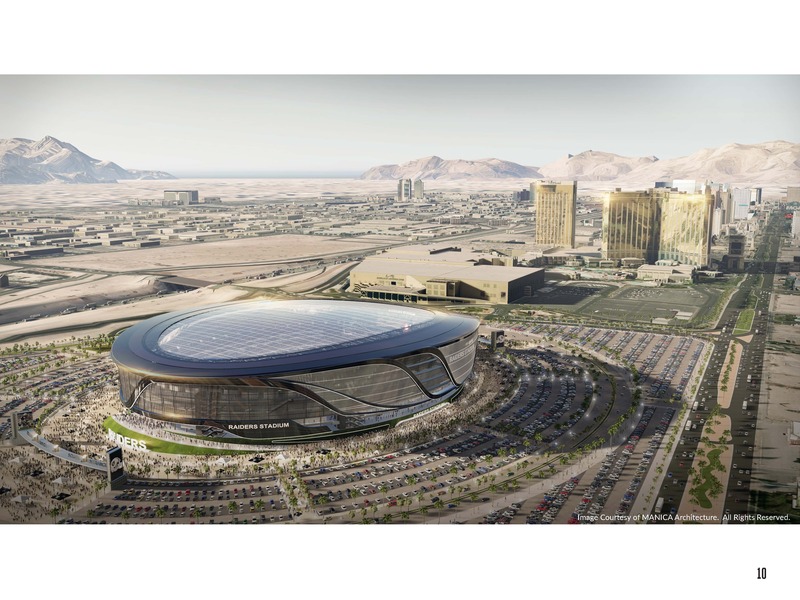 UPDATE: Las Vegas has voted to approve the deal.